Ousted Egyptian President Hosni Mubarak yesterday claimed that 800 members of Hamas broke into Egyptian prisons during the January 25 Revolution, Al-Watan Voice reported. He claimed that they infiltrated the Egyptian border from the Gaza Strip in order to support the Muslim Brotherhood. Mubarak was in court to testify as part of a retrial in which former President Mohamed Morsi and others are accused of orchestrating prison breaks and breaches of Egypt’s eastern border during the uprising that forced Mubarak from power in February 2011. Quizzed on alleged infiltration by foreign militants, he said his head of general intelligence had told him on 29 January 2011 of hundreds of people crossing Egypt’s border from the Gaza Strip to support the Brotherhood. But he declined to answer questions on the role of militant groups, so as not to discuss state secrets without authorisation. “I want permission to speak about this, I am requesting permission so as not to commit an offence,” he said. During the trial Mubarak came face to face for the first time with Morsi, who became the country’s first democratically elected president after the revolution. Palestinian Authority (PA) security forces yesterday detained Palestinian Parliament Speaker Aziz Dwaik and a number of MPs to prevent them from reaching their office. Dwaik said that the conference was coordinated with the different PA parties related, stressing it was permitted by the highest chief of the intelligence agency. “About 30 to 40 security members detained us,” he said while inside a car along with three other MPs, adding that they were released after about one hour. “They treated us impolitely and with clear disrespect,” he said. On Saturday, the Constitutional Court, which was formed by PA President Mahmoud Abbas, issued a decision to dissolve parliament. Chief of the PA Security Forces Adnan Al-Damiri said he would carry out the decision of the Constitutional Court. Dwaik did not recognise this decision as it was issued by an “illegal” court, stressing that such courts, according to the Palestinian law, “must be approved” by him as head of parliament and this did not happen. Hamas, which holds a majority in parliament, also rejected the decision. Ahmed Bahar, a Hamas official and deputy parliament speaker, held a press conference in Gaza and said: “The decision of the Constitutional Court is illegal.” He called for carrying out presidential, parliamentary and Palestinian National Council elections. The Palestinian Authority (PA) security forces on Wednesday prevented a press conference by the speaker of the Hamas-controlled Palestinian Legislative Council (PLC) Aziz Dweik in Ramallah. The PIC reporter said that Dweik was set to hold a press conference on the PA president Mahmoud Abbas’s decision to dissolve the PLC. 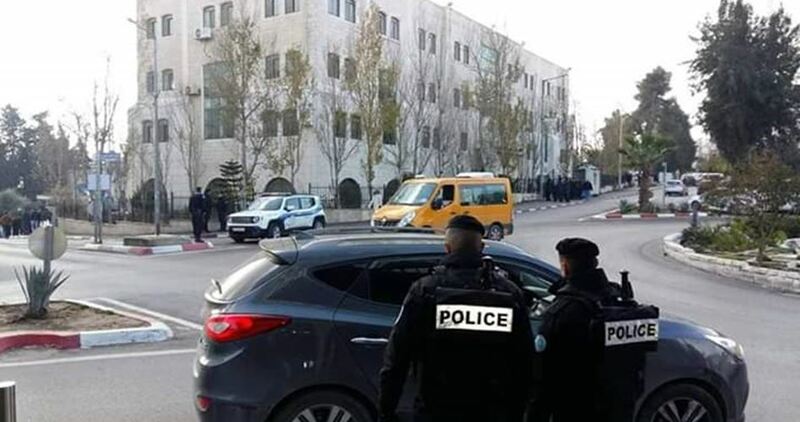 Local sources reported that the PA security forces deployed in the area around the PLC building and sent journalists away ahead of the scheduled press conference. They further detained Dweik and other MPs for about an hour at a checkpoint near Bethlehem city as they were heading to Ramallah. The same sources said that the PA forces handed Dweik a notice to appear before the Palestinian Intelligence Service in al-Khalil for interrogation. Spokesman for the PA Security Service Adnan al-Damiri said that the press conference was illegal since the PLC dissolution “has come into effect” and “no one can say he is a speaker or member of the council”. In his comments on the incident on behalf of other Palestinian MPs, Dweik said, “We don’t accept this treatment,” stressing that they have not received a legal and official order telling them that they are no longer members of the PLC. Mahmoud Abbas on Saturday announced a unilateral decision to dissolve the PLC despite increasing warnings of its possible repercussions on the Palestinian situation. The move was widely condemned by Palestinian resistance groups, notables, experts, and activists, and it was seen as a step toward a complete destruction of the Palestinian political system. Tensions between Turkey and Israel ratcheted up on Sunday as Turkish President Recep Tayyip Erdogan declared Israeli Prime Minister Benjamin Netanyahu an “oppressor”. Netanyahu hit back in a speech later the same day, calling Erdogan an “anti-Semitic dictator” who is “obsessed with Israel”. Speaking to a group of youths, Erdogan said: “Do not kick the enemy you have brought down to the ground. You are not a Jew in Israel,” in an apparent reference to the Israeli occupation of the West Bank and siege of Gaza. The comments did not go unnoticed in Israel, however, with Netanyahu later criticised Turkey over what he claims an occupation of northern Cyprus. “Erdogan – the occupier of northern Cyprus, whose army massacres women and children in Kurdish villages, inside and outside Turkey – should not preach to Israel,” Netanyahu tweeted. This was swiftly met by reply from Ibrahim Kalin, one of Erdogan’s top aides. “Bashing Erdogan or using Kurds as a political chip will not save [Netanyahu] from his domestic troubles,” Kalin wrote. Erdogan entered the fray again. “You are an oppressor, cruel and at the head of state terror,” Erdogan told the Israeli prime minister in a televised speech in Istanbul. Erdogan lambasted Netanyahu for “occupying Palestine” and committing “sins, crimes against humanity, massacres”. On December 14, Erdogan said Palestinians were subjected to “pressures, violence and intimidation policies no less grave than the oppression done to the Jews during the Second World War,” referring to the Holocaust. The Turkish president has previously called Israel “the world’s most fascist and racist state”. In May, Ankara ordered the Israeli ambassador out of Turkey in response to Israel’s killing of Palestinian protesters in the Gaza Strip. Turkey is the only country in the world which has been frankly supporting the Palestinian cause and recognise the Israel is an occupation state. Current Turkish leaders do not accept forgetting the Israeli crimes against thousands of the indigenous inhabitants of Palestine. The Palestinian Centre for Human Rights (PCHR): On Wednesday, 19 December 2018, the Israeli Knesset approved the first preliminary reading of a bill to expel families of Palestinians involved in attacks to other areas in the West Bank. 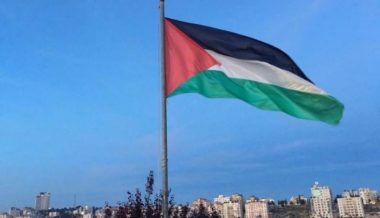 Palestinian Center for Human Rights (PCHR) denounces in the strongest terms the approval of this bill, which violates the international law and human rights. On Sunday, 16 December 2018, the Knesset’s Ministerial Committee for Legislation approved the bill, which was submitted by the “Jewish Home” right wing party headed by Minister of Education in the Israeli government, Naftali Bennett. The bill was approved despite the opposition and objection by the Attorney General Avihai Mandelblit and the Israeli security services, out of their belief that it is illegal and would increase violence and tension in the area. The Israeli Prime Minister, Benjamin Netanyahu, welcomed this bill and considered it as an “effective tool” and “the benefit of this bill is greater than its damage.” In preparation for this, on 13/12/2018, Netanyahu issued a decision to expedite the demolition of houses belonging to Palestinians involved in attacks. Therefore, on 17 December 2018, the Israeli bulldozers demolished a house in al-Showika suburb, north of Tulkarm belonging to Ashraf Na’alwah, who was extra-judicially killed by the Israeli forces on 13 December 2018. It should be noted that MK Ahmed al-Tibi described the bill as “a bill by war criminals, who shall eventually be internationally prosecuted”. He stressed that the bill passed a preliminary reading and it is expected in light of the racism and fascism atmosphere that the bill will pass the readings and will be approved in first, second and third readings. It is also expected that many racist bills would be enacted and settlement activities would increase as the Israeli elections will be soon held in mid-2019. Condemns this bill, which is part of the collective punishment policy practiced by Israeli forces against innocent Palestinians, which constitutes a blatant violation of international law and human rights law. Calls upon the UN, particularly the UNSC and General Assembly, to take practical measures to face Israel’s blatant violation of the international law rules and to put an end to treating Israel as a State above the law. Calls upon the High Contracting Parties to the Fourth Geneva Convention to fulfill their legal obligations through taking measures to guarantee Israel’s respect for the convention. Eighteen years after he was detained while on his way back to Gaza through the Rafah crossing, Imad Al-Din Al-Saftawi has finally given his wife a present he bought her from a trip to Dubai. Imad was detained on his way home from the Emirates in 2000 when he was detained by Israeli occupation forces. He kept the gift he bought his wife, a state of the art Nokia mobile phone, with him throughout his time in jail in the hopes of giving it to her. After his release on 12 December he was handed back his possessions, including the phone. His teenage daughter tweeted about her father giving her mother the gift and the story has since gone viral on social media. GAZA, PALESTINOW.COM — The Palestinian resistance Joint Operations Room in the Gaza Strip on Saturday announced that consultations are underway to decide its response to the Israeli crimes against the Great March of Return protesters. This was voiced in a statement following the Israeli army’s recent killing of four Palestinians in the Great March of Return. The Israeli occupation army on Friday heavily opened fire at peaceful protesters on Gaza border, killing four and injuring dozens of them. According to Gaza’s Ministry of Health, the martyrs were identified as Mohammed Jahjouh, 16, Abdulaziz Abu Shari’a, 28, Maher Yasin, 40, and Ayman Shbeir, 18. A spokesman for the Israeli army told the AFP news agency that “soldiers opened fire in the direction of a vehicle which was attempting to break through a military barrier in the Ramallah region, killing one of the occupants”. An investigation has been opened, the spokesman added. Israeli media reported that shots were fired at the Israeli army and that soldiers responded with fire.